2 Sisters Started A Blogshop As Teens, Now They've Made It To NY. This Is Their Story. There is an article in New York Magazine about what 13 different people wore to an interview with fashion’s most daunting lady and the mighty editor of Vogue Magazine, Anna Wintour. A heads up if that is something you want to do in the future: the lady seems to like tights with pleated skirts a lot, but you’re definitely not getting the job if you are all decked out in vintage. The point is, what you wear matters. More than you think you know. With hashtags like #ootd (outfit of the day), and #wiwt (what I wore today) running rampant and taking over social media platforms, it’s evident that people care quite a decent amount about what others are wearing. 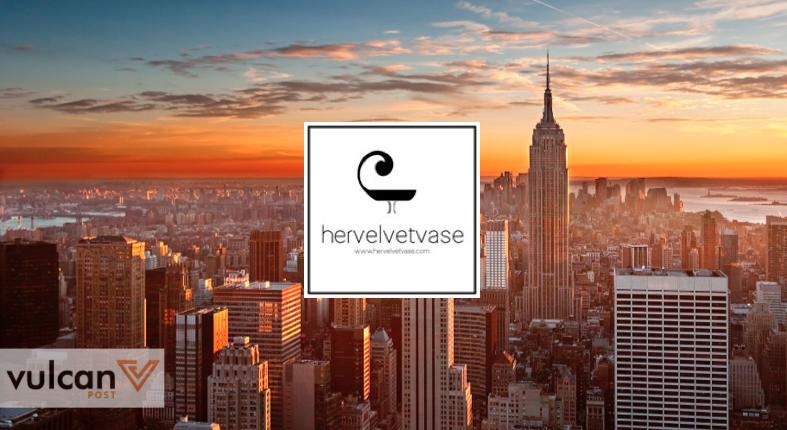 Especially Singapore-based fashion e-commerce platform, Her Velvet Vase. 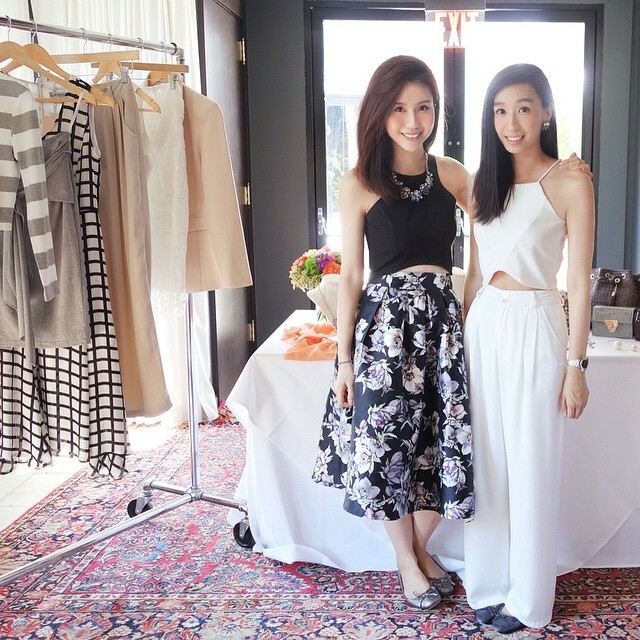 Magdalene (left) and Clare Chan, co-founders of Her Velvet Vase. 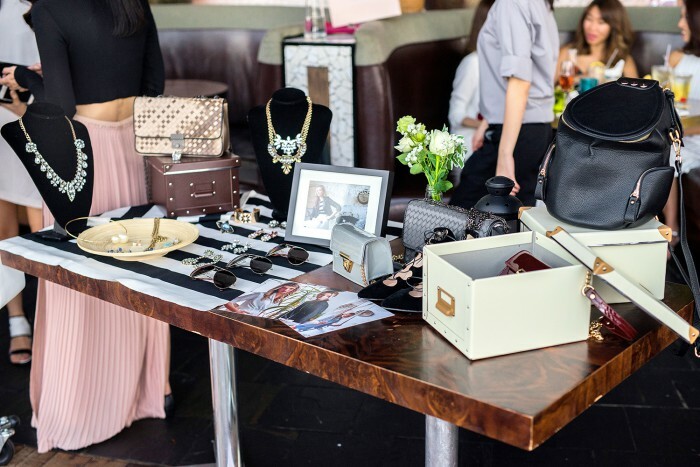 Founded by sisters Clare and Magdalene Chan in 2007 (then only 19 and 15 respectively), they specialise in designing and manufacturing their own products, mainly in apparel, jewellery, accessories, and footwear. Now, they are backed by a team of 20, who deal with business development, operations, marketing, creative, editorial, merchandising and more. Still not impressed? Well, they’ve recently also set up shop in famed fashion capital New York City. A strong emphasis on individuality was where Her Velvet Vase was borne from. Clare was studying in Melbourne eight years ago and found the fashion scene there very experimental and adventurous. Bear in mind that 2007 was a period when the fashion e-commerce landscape was sparse and relatively untouched — being the first few online stores to be established gave them a strong first mover advantage. “If you wanted to buy an outfit, you’d either have to go down to Orchard or pop into a brick and mortar store. 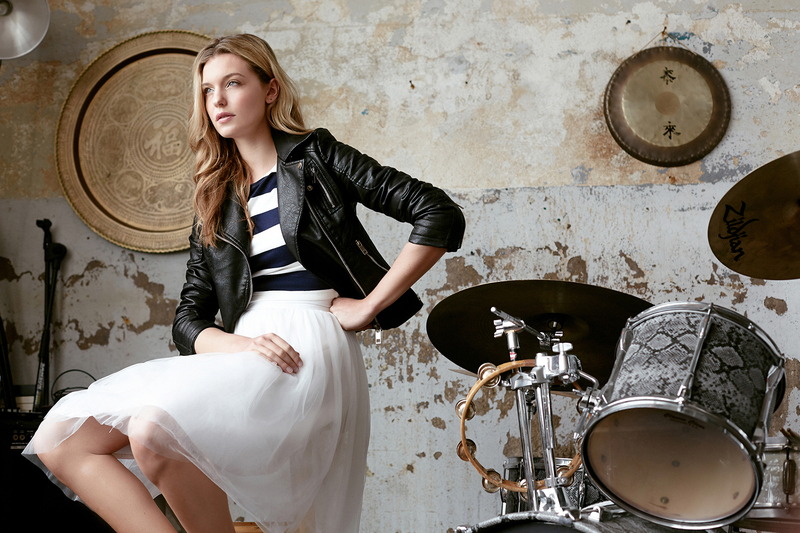 So that was really what got us thinking — would it be possible to deliver an outfit to the doorsteps of our customers? Why not offer customers an option to shop from the comforts of their own home? And that was what spurred us to start Her Velvet Vase. We wanted to bring that sense of fashion individuality and convenience back home with us,” Clare explained. And then the hard work really began. In the following years, Her Velvet Vase created a name and niche for themselves by designing and manufacturing their own products, recreating the boundaries of e-commerce by establishing a fully customisable website and backend system, as well as offering customers a unique and unparalleled level of customer service and customer loyalty programs. Her Velvet Vase launched in 2007 and started out selling the basic cotton dress. Keeping to their roots, Clare says that to this date, they have continued to work with manufacturers in China to constantly produce refined and improved versions of quality and staple cotton outfits for their customers. 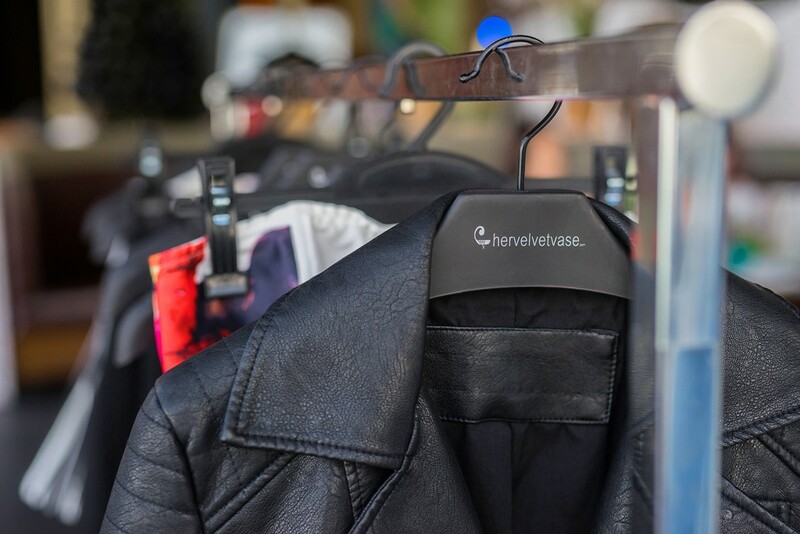 They’ve also been working to stay unique and differentiate themselves from their competition: the team have since moved from the single notion of offering alternative fashion options to providing consumers with a more multifaceted fashion experience. A quick browse of their website reveals something of an online lifestyle portal, with content on beauty, health, and wellness — on top of their independently-designed apparel collection. It’s innovative and progressive, and not too shabby for a young and lean team. New York, New York. Like they say; if you can make it there, you can make it anywhere. And from a business perspective, Clare shared that tapping on the vast opportunities that the US market would be able to offer, as well as the experience, knowledge and traction that they’d gain from working in one of the biggest e-commerce and fashion hubs in the world, was the obvious next step. Even with business all set up in NYC, though, Clare revealed that the process of building themselves up in the US started long before officially launching. There were months of research, creating and recreating of business strategies, forecasts, and marketing timelines that they had to engage in. But with everything sort of settled now, the team are keen to embark on collaborations for the brand. They are in one of the most creative places in the world, after all. Clare and Magdalene took some time to reevaluate their business and business model before realising that the right fit matters — meaning the team had to be restructured. And it is to great team dynamics that they owe the success of Her Velvet Vase. To Clare, a team that is honest and open to critical feedback, flexible, goal-oriented and willing to work hard for what they believe in is valuable to the growth of a company. As with any business, there is almost no rest to speak of. While the sisters continue to work on expanding into new countries and markets, they take everyday in their stride. What is unique about Her Velvet Vase is their ability to adapt, and their awareness of how e-commerce has evolved. “E-commerce has changed the way brands reach out to customers by constantly introducing faster, easier ways to enable consumers to make purchases on the go. The pros are the high levels of convenience, but it also removes that human element from the shopping experience, and this causes a gap because we inherently thrive on social engagement and interaction. “However, we wanted Her Velvet Vase to continue to be based primarily online, so we had to adopt a very unique model that would enable our offline experiences to be impactful and memorable to our customers. This is why we value exclusivity and specific feel-good moments,” Clare explained. With bright minds like Clare and Magdalene in the fashion e-commerce industry, the future seems to be in good (and crafty) hands. And with days filled with hearty team breakfasts, the mandatory morning stock check, team meetings discussing featured outfits, and photoshoots with Lithuanian models, it’s definitely unlike your 9 to 5 job, all right!